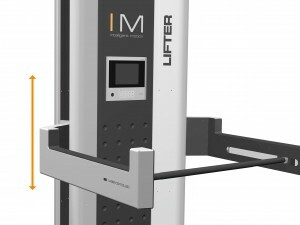 lifter combines force imposition, freedom and safety. Optical sensors along the sides of the device permit an exact, contact-free tracking of the barbell movement in the training procedure on both sides. In emergency situations or at freely definable movement limits, the lifter “catches” the barbell in a safe and reliable way, thereby providing optimum protection from injuries during the application of heavy loads (up to 400 kg) as well as the training of movements. Depending on the device’s confi- guration, movement can also be stopped if a maximum velocity of descent is exceeded. In case of emergency, the device can be stopped by pressing an e-stop button. 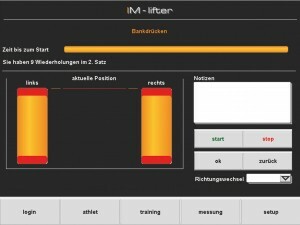 By using a mobile trainer terminal, e-stop button and enabling switches are available on the terminal. The patented virtual load simulation enables training with simulated loads of up to 250 kg. The loads can be simulated in lifting or lowering direction, thereby permitting a wide range of exercises. The technology not only permits the lifter to be used as a training device, but also as a force diagnosis device. Through the virtual simulation of loads, the device never needs to be loaded or unloaded. The training loads can be set from series to series as well as from repetition to repetition, which allows for the application of highly efficient training procedures (forced reps) without the need for a second person. 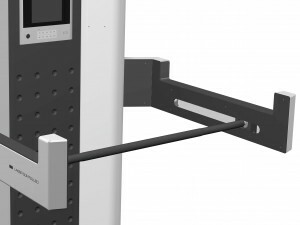 Optical sensors in the arms of the device detect the current position of the barbell. On the basis of this measured data, the arms react individually in order to keep the distance between the barbell and the arms constant. The device can move automatically in a lifting or lowering direction within the set movement parameters. This function enables concentric and excentric training exercises. The automatic movement functions can also be combined with other movement functions. This open configurability, permits, for example combinations of excentric-free and concentric-isokinetic training sequences. 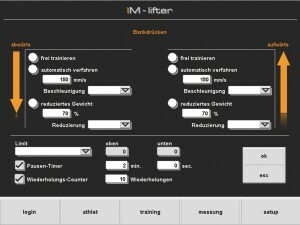 All dynamic parameters are adjustable and can, therefore, be selected in accordance with the respective training goal. Apart from logging training data, the device also has the capability to perform force measurement in a lifting and lowering direction. The measurements can be carried out isometrically with freely selectable positions as well as isokinetically with freely selectable rates of velocity and acceleration. The force values are recorded in the training log file every 50 ms and can be used for analysis purposes immediately. 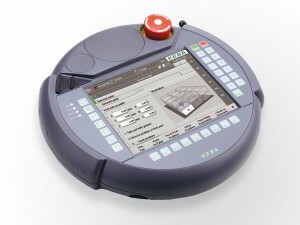 Current force values as well as attained maximum and minimum force values are indicated during measurement via the integrated display. 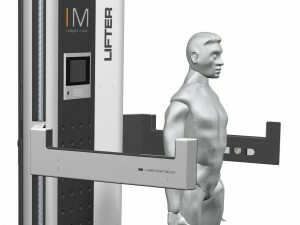 The virtual mathematical-physical load model enables a weight simulation of up to 250 kg.The special mounting enables the horizontal adjustment of the barbell along the arms as well as a vertical adjustment. Similar to training with a free weight, the athlete will, therefore, need to actively stabilise the bar during the load simulation. Furthermore, the load simulation offers the possibility to adjust the simulated loads in dependence upon the current position of the load arms. Loads can be infinitely adjusted and various types of resistance can be simulated in the process. The combination of the freely adjustable barbell weight bar with our perfected virtual force simulation offers the possibility of a safe training procedure without the need to abandon the functional advantages of a “free barbell”. Movement space and forces are infinitely adjustable, thereby preventing injuries. 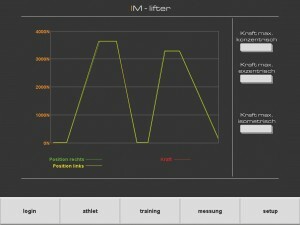 The individual movement limits for an athlete can be saved to the device’s own database. When the athlete logs in to the device, this data is retrieved and the training can start without delay. Up to 50 athletes can be recor- ded in the database. 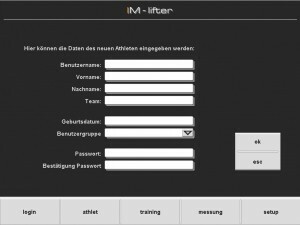 After login with user name and password, the stored data is called up automatically and the system switches into the language of the athlete which had been saved to the database. 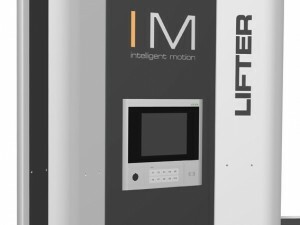 Apart from an intuitive user interface with touchscreen, the lifter also offers a large graphic display. This permits a direct feedback for the athlete and trainer as well as the display of training data, break times and other important information. A maximum and minimum movement threshold can be set in order to limit the overall movement space of the device. The body scan function simplifies the setting of these limits. The arms of the device and barbell are moved into the desired position, then a button is pressed to set this position as limit and save the setting. In order to enable quick adjustments of saved limits, the position values can also be entered or changed manually.